Blue apron is proving to be one of my worst investments in many years. I did not take part in the IPO since I though the original guide price of $15-17 was too high. I could not see the company being worth that much. The stock ended up entering the market a lot lower. At $10. This seemed like a much more reasonable valuation. The stock ended up gaining 9% on the first day. It then started falling. I couldn’t help myself and added the stock to my high risk portfolio at $9 a share. This seemed to be a deal for a share that surely was going to go up again. The original IPO price was after all a lot higher. This was a big mistake. The stock is now trading around $5 and I have lost almost half of my investment. I have considered buying more shares to lower my average purchase price to make it easier to earn my money back. The problem is that I am no longer sure that this company will go back up. 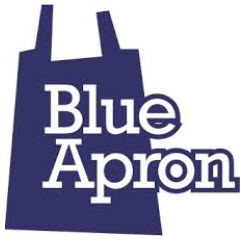 After having done more research into the company (which I should have done before I bought the stock) I am starting to think that blue apron is a black whole you lose money into. A company that have their best times behind them and that will die a slow expensive death. This makes me think that it might be best to to take the loss and move on. Although the stock might make a few jumps before it dies and that would be enough for me to get out of it without losing any money. I lost fate in blue apron due to external and internal factors. Below we are going to look into both internal and external factors. The external factors that make blue apron a less than appetizing investment can be described in one word. Amazon! 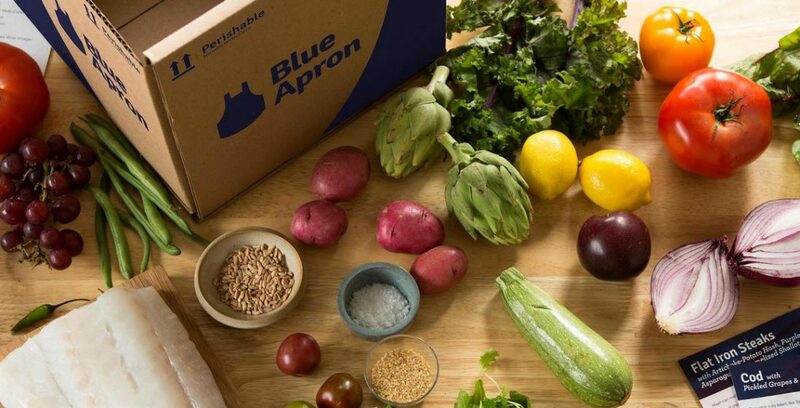 Amazon and Amazon NOW has been a big threat to Blue apron for a long time. This danger became a lot larger when Amazon announced their purchase of Whole foods and their introduction of meal kits. Meal kits will compete directly with Blue apron and whole foods will give amazon a large distribution system to be able to deliver these boxes in all of the country. Whole foods helps Amazon be able to offer perfect groceries in their meal boxes no matter where you live. This is bad news for Blue Apron since Amazon had a superior distribution system already before they added whole foods to the mix. Amazon is very good at internet based retail and they have a huge audience to sell their products to. This makes it very likely that they will take a large part of the market for pre-made meal kits. The most important internal factor that I looked at when I lost faith in the company is the customer acquisition cost. This cost was misrepresented in the IPO material to make it seems a lot better than it really was. The IPO material contain the average customer acquisition cost over several year. Not the avarage cost for the last year. The average cost for the last year is a lot higher than the cost in the IPO material and it shows how Blue apron has to pay more and more to attract new customers. Their current customer acquisition cost is according to my sources over $400 a customer. According to the CEO the average customer brings in $900 to $1,000 over a 3-year period. This means that it would take more then a year to earn back the customer acquisition cost for each customer. This might be okay if blue apron had a high customer retention and if most customers stayed customers for more then a year. This is unfortunately not the case. Blue apron have a low customer retention. Blue apron loses money on more than 70% of all their customers. All this makes it very hard to see a bright future for the company even without the added competition that Amazon will add to the market space. At the moment I can not see a long term future for Blue apron. A more likely future sees the company keep losing money and eventually disappearing unless they get purchased by someone else like Amazon. If I decide to buy more stocks then it will be a short term speculation to try to get my money back and then get out of the stock again. I will not retain a long time position and I will most likely just accept the loss and move on to new ventures. The risk of the stock going down another 50% seems very high. I will just have to see it as an expensive lesson to newer buy stock without doing extensive research and never to trust IPO information without digging into it a little deeper.